Empress Dowager Cixi, born in 1835, ruled China until her death in 1908. She was the one who modernised China, and fought wars against Japan and the great European powers. But as Cixi was just the Empress Dowager she had to rule behind the curtain and make sure that the Emperor was under her thumb. Because she was just a concubine, and not married to the Emperor, she was not entitled to any power. But the Empress had not given birth to any sons, something which Cixi managed to do. When the Emperor died, her son, Tongzhi, was made the Emperor and Cixi, along with the Empress, were upgraded to Empress Dowagers. As Tongzhi was only 5, the Empress Dowgers were in charge. They also staged a coup which resulted in the removal of the Emperor’s advisors and the insertion of Cixi’s trusted men. Her son became the ruler when he was married. Cixi stayed away from politics, but she didn’t agree with her son’s decisions. Tongzhi died in 1875, and because he had no sons, a boy was chosen and adopted by the Dowager Empresses to become the new Emperor. When Ci’an died in 1881, Cixi became the sole ruler until the boy, Guangxu, was old enough to rule himself. In this period, Cixi had a lot of enemies. The most famous one was Wild Fox Kang who tried to murder Cixi several times. He didn’t succeed and Cixi found out about it. She believed that the Emperor himself was in on it, and successfully put him in house arrest so she again became the ruler, and this time she was in power until her death. This period was marked by the Boxer rebellion and the following war with the European powers. And after the war, China needed to reform in order to survive. 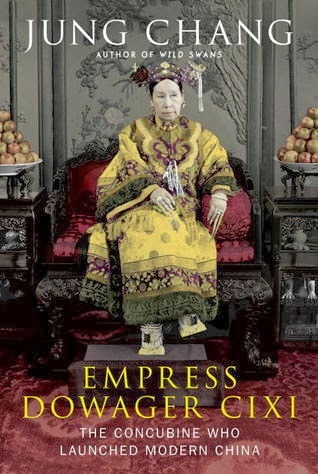 Although the book gives a detailed account of the life of Cixi, I never felt that I got to know her. I found her boring, and I also felt that Jung Chang spent a lot of time defending her. It also gives a detailed account of China at that time, and I definitely learnt a lot about Chinese history. I became more fascinated by Wild Fox Kang, and I’m glad that Jung Chang wrote so much about him as well. The collection of pictures in the end was also very fascinating. I’m going to read Wild Swans later this year, and Mao is also going to be read sooner or later, probably as a part of Ingalill’s superb biographies reading circle which this book was a part of. Three runs away from her family when they want to marry her to someone she doesn’t love. She comes from the countryside to Nanjing, where the good people under the Willow Tree finds her a job in a restaurant based on her skills in decoration. When her parents see the money she is earning, they send along her younger sisters, Five (who never went to school and is considered as the dumbest of the sisters) and Six (who is the only girl in the village to have finished middle school) and they also have great success with finding work in the big city. The novel follows the sisters while they settle with their different jobs. Six is my favourite sister, but I also loved Five for her courage and teaching herself ways of learning the things she needs when she is illiterate. Six works in a tea house with plenty of books where many foreigners choose to study. The tea house has a guest book where the guests often write jokes and the jokes definitely made me laugh. I never felt that I really got to know Three, although she is the first one you get to know. 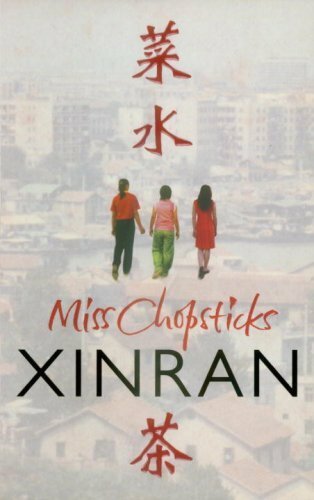 The novel is not just about the three sisters finding their way in Nanjing, but also gives an excellent insight in the complex modern China. Modern life meets ancient traditions, proverbs and superstitions. One could also peak into the secret life of the Chinese who do not completely agree with the Communist Party. Xinran based the characters on girls she knew had moved to Nanjing to find work and the introduction and afterwords tell their story. Such a great book!